The Disability Awareness Puppet Shows are targeted at children aged 5 to 12. Their purpose is to familiarise the young audience with disabled people’s life and to teach them about various disabilities (e.g. visual impairment, hearing impairment, physical disabilities). Theatre etudes prepared by L’ARCHE Foundation are about children aged 7-9 (or a little older), who get to know themselves better in various situations. The scenarios are based on the following scheme: non-disabled puppets meet another puppet who has cerebral palsy, Down syndrome or visual impairment. Thanks to the show children get an opportunity to perceive disabled people as worth knowing. The programme is dynamic, funny and expressive. 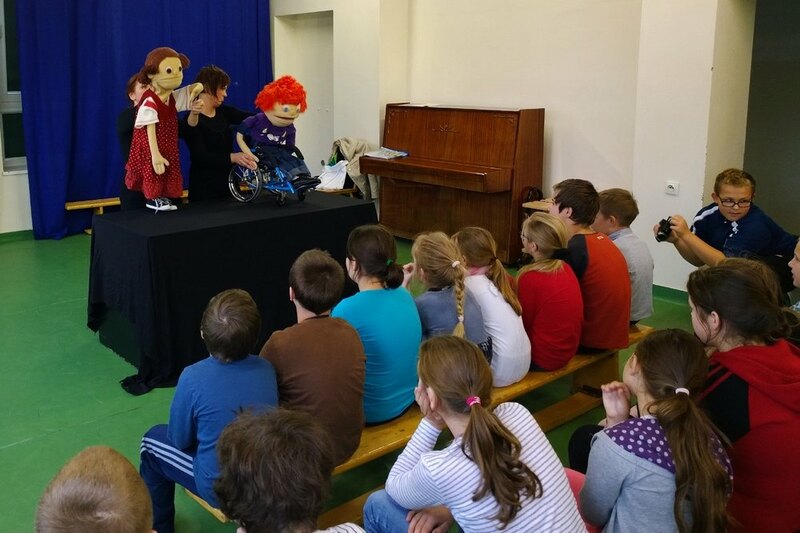 The etudes help children to feel comfortable in the presence of a disabled person, while the puppet’s openness to discussion foster fighting stereotypes and myths about disability. Children participating in workshops will have an opportunity to become volunteers and to take part in collaborative initiatives with people the Foundation takes care of. The idea of so-called muppet shows is of American origin. It has been successfully used for years as a method of integrating youth with their disabled peers in New York and it is supported there by the city authorities. By contrast, the idea is a novelty in Poland. 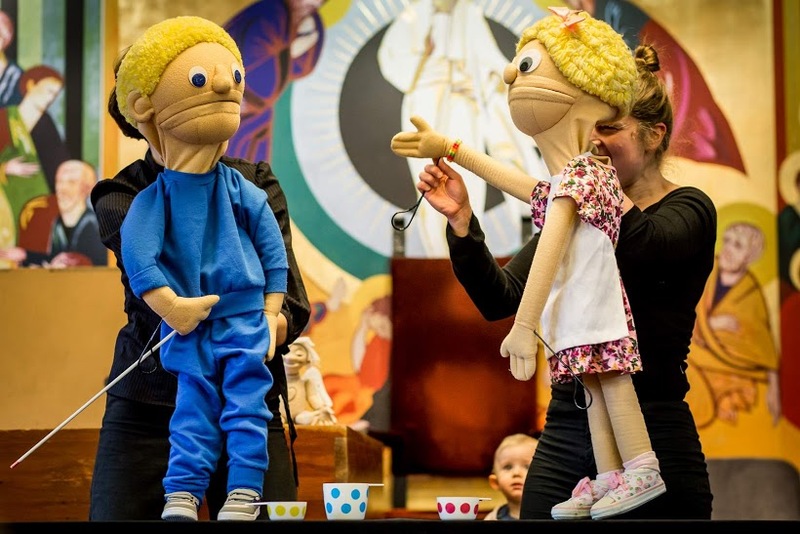 The Disability Awareness Puppet Shows are performed by L’ARCHE Foundation members, trained by Aleksandra Pejcz of the National Academy of Theatre in Wrocław, Aleksandra Machalica of the Nowy Theatre in Poznan, and by renowned New York actresses Cecilia Arana Grant and Mindy Pfeffer. Please feel invited to make an appointment with the Disability Awareness Puppet Theatre, so that we can perform for your school and kindergarten (or any other children group). 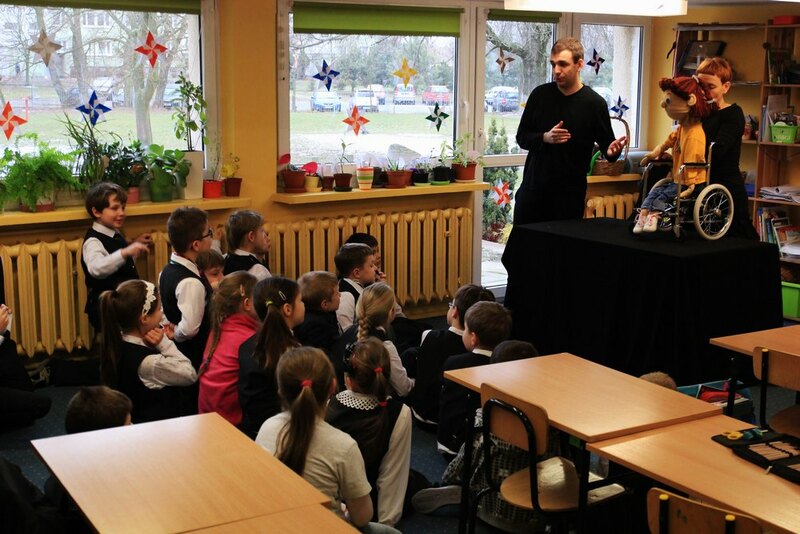 We conducted 102 workshops for children in form of a Disability Awarness Puppet Show (66 provided by L’ARCHE Wrocław and 46 – by L’ARCHE Poznań) with the total number of 2360 beneficiaries from dolnośląskie and wielkopolskie voivodeships. As it is proved by our experience, this type of interaction with the youngest ones is really advantageous. Children tend to react with exuberance, keep asking the disabled puppet multiple questions and get upset when the class comes to an end. The shows are rapidly becoming very popular. Schools and kindergartens we have already played in invite us again; teachers spread the news to their colleagues, which results in getting new inquiries. One school invited us to perform in sixteen classes, but unfortunately the number of shows had to be reduced to two due to financial limits. Teachers, very enthusiastic about our idea, invite us to classes who are preparing to welcome a disabled classmate. Some of them confess that they were more afraid of the subject than their pupils, but it turned out that our workshops helped them to open a discussion on disability. We receive phone and e-mail requests from other cities in Poland, but unfortunately they are currently out of our reach. Our dream is to develop our shows. We would like to train the actors more and to invite new people to work with us on new shows about other disabilities than the already covered ones. Also, we want the persons that L’ARCHE Foundation takes care of to get engaged in our undertaking as much extent as possible. Our plans include opening an occupational therapy workshop that would assemble a Down syndrome puppet based on the one created by Bernd Ogrodnik. In the future such a puppet (alongside with its “manual”) could be left in classrooms after the show, and thus teachers could continue the discussion on disability.